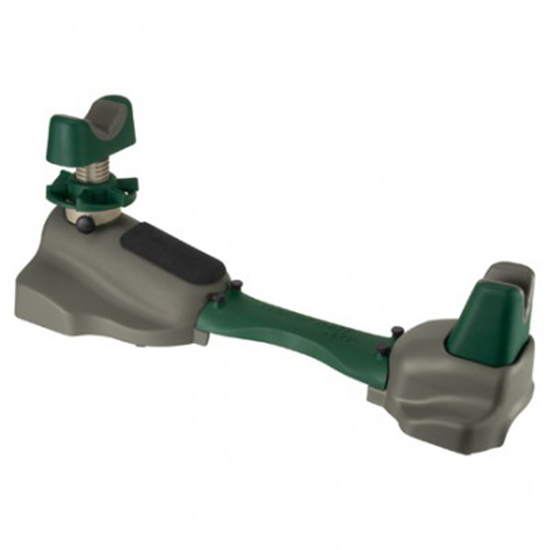 Caldwells impressive Steady Rest NXT shooting rest gives you a steady elevationadjustable platform for sighting in rifles and pistols and patterning shotguns. The threepiece design allows the shooter to use the rest in one or twopiece configurations allowing it to adjust to any length long gun as well as handguns. Its front and rear support features a nonmarring material that is gentle on your firearms finish yet is firm enough to provide a stable shooting surface.